Foreword by Carl Gustav Jung. Since I am not a sinologue, a foreword to the Book of Changes from my hand must be a testimonial of my individual experience with this great and singular book. It also affords me a welcome opportunity to pay tribute again to the memory of my late friend, Richard Wilhelm. He himself was profoundly aware of the cultural significance of his translation of the Yijing, a version unrivaled in the West. If the meaning of the Book of Changes were easy to grasp, the work would need no foreword. But this is far from being the case, for there is so much that is obscure about it that Western scholars have tended to dispose of it as a collection of "magic spells," either too abstruse to be intelligible, or of no value whatsoever. Legge's translation of the Yijing, up to now the only version available in English, has done little to make the work accessible to Western minds. Wilhelm, however, has made every effort to open the way to an understanding of the symbolism of the text. He was in a position to do this because he himself was taught the philosophy and the use of the Yijing by the venerable sage Lao Nai-hsüan; moreover, he had over a period of many years put the peculiar technique of the oracle into practice. His grasp of the living meaning of the text gives his version of the Yijing a depth of perspective that an exclusively academic knowledge of Chinese philosophy could never provide. I am greatly indebted to Wilhelm for the light he has thrown upon the complicated problem of the Yijing, and for insight as regards its practical application as well. For more than thirty years I have interested myself in this oracle technique, or method of exploring the unconscious, for it has seemed to me of uncommon significance. I was already fairly familiar with the Yijing when I first met Wilhelm in the early nineteen twenties; he confirmed for me then what I already knew, and taught me many things more. I do not know Chinese and have never been in China. I can assure my reader that it is not altogether easy to find the right access to this monument of Chinese thought, which departs so completely from our ways of thinking. In order to understand what such a book is all about, it is imperative to cast off certain prejudices of the Western mind. it is a curious fact that such a gifted and intelligent people as the Chinese has never developed what we call science. Our science, however, is based upon the principle of causality, and causality is considered to be an axiomatic truth. But a great change in our standpoint is setting in. What Kant's Critique of Pure Reason failed to do, is being accomplished by modern physics. The axioms of causality are being shaken to their foundations: we know now that what we term natural laws are merely statistical truths and thus must necessarily allow for exceptions. We have not sufficiently taken into account as yet that we need the laboratory with its incisive restrictions in order to demonstrate the invariable validity of natural law. If we leave things to nature, we see a very different picture: every process is partially or totally interfered with by chance, so much so that under natural circumstances a course of events absolutely conforming to specific laws is almost an exception. The Chinese mind, as I see it at work in the Yijing, seems to be exclusively preoccupied with the chance aspect of events. What we call coincidence seems to be the chief concern of this peculiar mind, and what we worship as causality passes almost unnoticed. We must admit that there is something to be said for the immense importance of chance. An incalculable amount of human effort is directed to combating and restricting the nuisance or danger represented by chance. Theoretical considerations of cause and effect often look pale and dusty in comparison to the practical results of chance. It is all very well to say that the crystal of quartz is a hexagonal prism. The statement is quite true in so far as an ideal crystal is envisaged. But in nature one finds no two crystals exactly alike, although all are unmistakably hexagonal. The actual form, however, seems to appeal more to the Chinese sage than the ideal one. The jumble of natural laws constituting empirical reality holds more significance for him than a causal explanation of events that, moreover, must usually be separated from one another in order to be properly dealt with. The manner in which the Yijing tends to look upon reality seems to disfavor our causalistic procedures. The moment under actual observation appears to the ancient Chinese view more of a chance hit than a clearly defined result of concurring causal chain processes. The matter of interest seems to be the configuration formed by chance events in the moment of observation, and not at all the hypothetical reasons that seemingly account for the coincidence. While the Western mind carefully sifts, weighs, selects, classifies, isolates, the Chinese picture of the moment encompasses everything down to the minutest nonsensical detail, because all of the ingredients make up the observed moment. Thus it happens that when one throws the three coins, or counts through the forty-nine yarrow stalks, these chance details enter into the picture of the moment of observation and form a part of it -- a part that is insignificant to us, yet most meaningful to the Chinese mind. With us it would be a banal and almost meaningless statement (at least on the face of it) to say that whatever happens in a given moment possesses inevitably the quality peculiar to that moment. This is not an abstract argument but a very practical one. There are certain connoisseurs who can tell you merely from the appearance, taste, and behavior of a wine the site of its vineyard and the year of its origin. There are antiquarians who with almost uncanny accuracy will name the time and place of origin and the maker of an objet d'art or piece of furniture on merely looking at it. And there are even astrologers who can tell you, without any previous knowledge of your nativity, what the position of sun and moon was and what zodiacal sign rose above the horizon in the moment of your birth. In the face of such facts, it must be admitted that moments can leave long-lasting traces. In other words, whoever invented the Yijing was convinced that the hexagram worked out in a certain moment coincided with the latter in quality no less than in time. To him the hexagram was the exponent of the moment in which it was cast -- even more so than the hours of the clock or the divisions of the calendar could be -- inasmuch as the hexagram was understood to be an indicator of the essential situation prevailing in the moment of its origin. This assumption involves a certain curious principle that I have termed synchronicity, a concept that formulates a point of view diametrically opposed to that of causality. Since the latter is a merely statistical truth and not absolute, it is a sort of working hypothesis of how events evolve one out of another, whereas synchronicity takes the coincidence of events in space and time as meaning something more than mere chance, namely, a peculiar interdependence of objective events among themselves as well as with the subjective (psychic) states of the observer or observers. The ancient Chinese mind contemplates the cosmos in a way comparable to that of the modern physicist, who cannot deny that his model of the world is a decidedly psychophysical structure. The microphysical event includes the observer just as much as the reality underlying the Yijing comprises subjective, i.e., psychic conditions in the totality of the momentary situation. Just as causality describes the sequence of events, so synchronicity to the Chinese mind deals with the coincidence of events. The causal point of view tells us a dramatic story about how D came into existence: it took its origin from C, which existed before D, and C in its turn had a father, B, etc. The synchronistic view on the other hand tries to produce an equally meaningful picture of coincidence. How does it happen that A', B', C', D', etc., appear all in the same moment and in the same place? It happens in the first place because the physical events A' and B' are of the same quality as the psychic events C' and D', and further because all are the exponents of one and the same momentary situation. The situation is assumed to represent a legible or understandable picture. Now the sixty-four hexagrams of the Yijing are the instrument by which the meaning of sixty-four different yet typical situations can be determined. These interpretations are equivalent to causal explanations. Causal connection is statistically necessary and can therefore be subjected to experiment. Inasmuch as situations are unique and cannot be repeated, experimenting with synchronicity seems to be impossible under ordinary conditions. In the Yijing, the only criterion of the validity of synchronicity is the observer's opinion that the text of the hexagram amounts to a true rendering of his psychic condition. It is assumed that the fall of the coins or the result of the division of the bundle of yarrow stalks is what it necessarily must be in a given "situation," inasmuch as anything happening in that moment belongs to it as an indispensable part of the picture. If a handful of matches is thrown to the floor, they form the pattern characteristic of that moment. But such an obvious truth as this reveals its meaningful nature only if it is possible to read the pattern and to verify its interpretation, partly by the observer's knowledge of the subjective and objective situation, partly by the character of subsequent events. It is obviously not a procedure that appeals to a critical mind used to experimental verification of facts or to factual evidence. But for someone who likes to look at the world at the angle from which ancient China saw it, the Yijing may have some attraction. My argument as outlined above has of course never entered a Chinese mind. On the contrary, according to the old tradition, it is "spiritual agencies," acting in a mysterious way, that make the yarrow stalks give a meaningful answer. These powers form, as it were, the living soul of the book. As the latter is thus a sort of animated being, the tradition assumes that one can put questions to the Yijing and expect to receive intelligent answers. Thus it occurred to me that it might interest the uninitiated reader to see the Yijing at work. For this purpose I made an experiment strictly in accordance with the Chinese conception: I personified the book in a sense, asking its judgment about its present situation, i.e., my intention to present it to the Western mind. Although this procedure is well within the premises of Taoist philosophy, it appears exceedingly odd to us. However, not even the strangeness of insane delusions or of primitive superstition has ever shocked me. I have always tried to remain unbiased and curious -- rerum novarum cupidus. Why not venture a dialogue with an ancient book that purports to be animated? There can be no harm in it, and the reader may watch a psychological procedure that has been carried out time and again throughout the millennia of Chinese civilization, representing to a Confucius or a Lao-tse both a supreme expression of spiritual authority and a philosophical enigma. 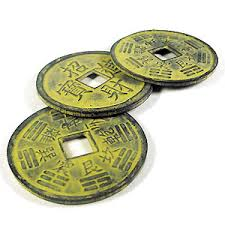 I made use of the coin method, and the answer obtained was hexagram 50, Ting, the Caldron. In accordance with the way my question was phrased, the text of the hexagram must be regarded as though the Yijing itself were the speaking person. Thus it describes itself as a caldron, that is, as a ritual vessel containing cooked food. Here the food is to be understood as spiritual nourishment. Wilhelm says about this: The ting, as a utensil pertaining to a refined civilization, suggests the fostering and nourishing of able men, which redounded to the benefit of the state. . . . Here we see civilization as it reaches its culmination in religion. The ting serves in offering sacrifice to God. . . . The supreme revelation of God appears in prophets and holy men. To venerate them is true veneration of God. The will of God, as revealed through them, should be accepted in humility. The handle (German Griff) is the part by which the ting can be grasped (gegriffen). Thus it signifies the concept (Begriff) one has of the Yijing (the ting). In the course of time this concept has apparently changed, so that today we can no longer grasp (begreifen) the Yijing. Thus "one is impeded in his way of life." We are no longer supported by the wise counsel and deep insight of the oracle; therefore we no longer find our way through the mazes of fate and the obscurities of our own natures. The fat of the pheasant, that is, the best and richest part of a good dish, is no longer eaten. But when the thirsty earth finally receives rain again, that is, when this state of want has been overcome, "remorse," that is, sorrow over the loss of wisdom, is ended, and then comes the longed-for opportunity. Wilhelm comments: "This describes a man who, in a highly evolved civilization, finds himself in a place where no one notices or recognizes him. This is a severe block to his effectiveness." The Yijing is complaining, as it were, that its excellent qualities go unrecognized and hence lie fallow. It comforts itself with the hope that it is about to regain recognition. The answer given in these two salient lines to the question I put to the Yijing requires no particular subtlety of interpretation, no artifices, no unusual knowledge. Anyone with a little common sense can understand the meaning of the answer; it is the answer of one who has a good opinion of himself, but whose value is neither generally recognized nor even widely known. The answering subject has an interesting notion of itself: it looks upon itself as a vessel in which sacrificial offerings are brought to the gods, ritual food for their nourishment. 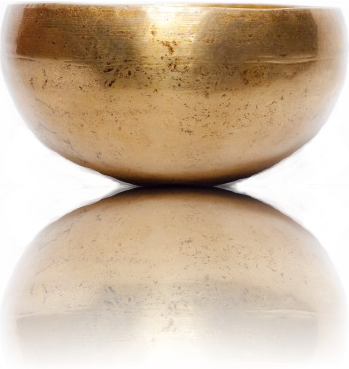 It conceives of itself as a cult utensil serving to provide spiritual nourishment for the unconscious elements or forces ("spiritual agencies") that have been projected as gods – in other words, to give these forces the attention they need in order to play their part in the life of the individual. Indeed, this is the original meaning of the word religio – a careful observation and taking account of (from relegere) the numinous. The method of the Yijing does indeed take into account the hidden individual quality in things and men, and in one's own unconscious self as well. I have questioned the Yijing as one questions a person whom one is about to introduce to friends: one asks whether or not it will be agreeable to him. In answer the Yijing tells me of its religious significance, of the fact that at present it is unknown and misjudged, of its hope of being restored to a place of honor -- this last obviously with a sidelong glance at my as yet unwritten foreword, and above all at the English translation. This seems a perfectly understandable reaction, such as one could expect also from a person in a similar situation. But how has this reaction come about? Because I threw three small coins into the air and let them fall, roll, and come to rest, heads up or tails up as the case might be. This odd fact that a reaction that makes sense arises out of a technique seemingly excluding all sense from the outset, is the great achievement of the Yijing. The instance I have just given is not unique; meaningful answers are the rule. Western sinologues and distinguished Chinese scholars have been at pains to inform me that the Yijing is a collection of obsolete "magic spells." In the course of these conversations my informant has sometimes admitted having consulted the oracle through a fortune teller, usually a Taoist priest. This could be "only nonsense" of course. But oddly enough, the answer received apparently coincided with the questioner's psychological blind spot remarkably well. I agree with Western thinking that any number of answers to my question were possible, and I certainly cannot assert that another answer would not have been equally significant. However, the answer received was the first and only one; we know nothing of other possible answers. It pleased and satisfied me. To ask the same question a second time would have been tactless and so I did not do it: "the master speaks but once." The heavy-handed pedagogic approach that attempts to fit irrational phenomena into a preconceived rational pattern is anathema to me. Indeed, such things as this answer should remain as they were when they first emerged to view, for only then do we know what nature does when left to herself undisturbed by the meddlesomeness of man. One ought not to go to cadavers to study life. Moreover, a repetition of the experiment is impossible, for the simple reason that the original situation cannot be reconstructed. Therefore in each instance there is only a first and single answer. A ting that is turned upside down is not in use. Hence the Yijing is like an unused caldron. Turning it over serves to remove stagnating matter, as the line says. Just as a man takes a concubine when his wife has no son, so the Yijing is called upon when one sees no other way out. Despite the quasi-legal status of the concubine in China, she is in reality only a somewhat awkward makeshift so likewise the magic procedure of the oracle is an expedient that may be utilized for a higher purpose. There is no blame, although it is an exceptional recourse. Here the ting has been put to use, but evidently in a very clumsy manner, that is, the oracle has been abused or misinterpreted. In this way the divine food is lost, and one puts oneself to shame. Legge translates as follows: "Its subject will be made to blush for shame." Abuse of a cult utensil such as the ting (i.e., the Yijing) is a gross profanation. The Yijing is evidently insisting here on its dignity as a ritual vessel and protesting against being profanely used. The Yijing has, it seems, met with a new, correct (yellow) understanding, that is, a new concept (Begriff) by which it can be grasped. This concept is valuable (golden). There is indeed a new edition in English, making the book more accessible to the Western world than before. Jade is distinguished for its beauty and soft sheen. If the carrying rings are of jade, the whole vessel is enhanced in beauty, honor, and value. The Yijing expresses itself here as being not only well satisfied but indeed very optimistic. One can only await further events and in the meantime remain content with the pleasant conclusion that the Yijing approves of the new edition. I have shown in this example as objectively as I can how the oracle proceeds in a given case. Of course the procedure varies somewhat according to the way the question is put. If for instance a person finds himself in a confusing situation, he may himself appear in the oracle as the speaker. Or, if the question concerns a relationship with another person, that person may appear as the speaker. However, the identity of the speaker does not depend entirely on the manner in which the question is phrased, inasmuch as our relations with our fellow beings are not always determined by the latter. Very often our relations depend almost exclusively on our own attitudes, though we maybe quite unaware of this fact. Hence, if an individual is unconscious of his role in a relationship, there may be a surprise in store for him; contrary to expectation, he himself may appear as the chief agent, as is sometimes unmistakably indicated by the text. It may also occur that we take a situation too seriously and consider it extremely important, whereas the answer we get on consulting the Yijing draws attention to some unsuspected other aspect implicit in the question. Such instances might at first lead one to think that the oracle is fallacious. Confucius is said to have received only one inappropriate answer, i.e., hexagram 22, Grace – a thoroughly aesthetic hexagram. This is reminiscent of the advice given to Socrates by his daemon – "You ought to make more music" – whereupon Socrates took to playing the flute. Confucius and Socrates compete for first place as far as reasonableness and a pedagogic attitude to life are concerned; but it is unlikely that either of them occupied himself with "lending grace to the beard on his chin," as the second line of this hexagram advises. Unfortunately, reason and pedagogy often lack charm and grace, and so the oracle may not have been wrong after all. To come back once more to our hexagram. Though the Yijing not only seems to be satisfied with its new edition, but even expresses emphatic optimism, this still does not foretell anything about the effect it will have on the public it is intended to reach. Since we have in our hexagram two yang lines stressed by the numerical value nine, we are in a position to find out what sort of prognosis the Yijing makes for itself. 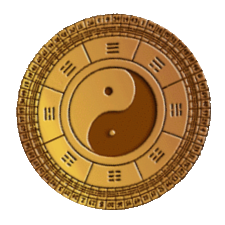 Lines designated by a six or a nine have, according to the ancient conception, an inner tension so great as to cause them to change into their opposites, that is, yang into yin, and vice versa. Through this change we obtain in the present instance hexagram 55, Chin, Progress. The subject of this hexagram is someone who meets with all sorts of vicissitudes of fortune in his climb upward, and the text describes how he should hehave. The Yijing is in this same situation: it rises like the sun and declares itself, but it is rebuffed and finds no confidence -- it is "progressing, but in sorrow." However, "one obtains great happiness from one's ancestress." Psychology can help us to elucidate this obscure passage. In dreams and fairy tales the grandmother, or ancestress, often represents the unconscious, because the latter in a man contains the feminine component of the psyche. If the Yijing is not accepted by the conscious, at least the unconscious meets it halfway, and the Yijing is more closely connected with the unconscious than with the rational attitude of consciousness. Since the unconscious is often represented in dreams by a feminine figure, this may be the explanation here. The feminine person might be the translator, who has given the book her maternal care, and this might easily appear to the Yijing as a "great happiness." It anticipates general understantling, but is afraid of misuse -- "Progress like a hamster." But it is mindful of the admonition, "Take not gain and loss to heart." It remains free of "partisan motives." It does not thrust itself on anyone. The Yijing therefore faces its future on the American book market calmly and expresses itself here just about as any reasonable person would in regard to the fate of so controversial a work. This prediction is so very reasonable and full of common sense that it would be hard to think of a more fitting answer. All of this happened before I had written the foregoing paragraphs. When I reached this point, I wished to know the attitude of the Yijing to the new situation. The state of things had been altered by what I had written, inasmuch as I myself had now entered upon the scene, and I therefore expected to hear something referring to my own action. I must confess that I had not been feeling too happy in the course of writing this foreword, for, as a person with a sense of responsibility toward science, I am not in the habit of asserting something I cannot prove or at least present as acceptable to reason. It is a dubious task indeed to try to introduce to a critical modern public a collection of archaic "magic spells," with the idea of making them more or less acceptable. I have undertaken it because I myself think that there is more to the ancient Chinese way of thinking than meets the eye. But it is embarrassing to me that I must appeal to the good will and imagination of the reader, inasmuch as I have to take him into the obscurity of an age-old magic ritual. Unfortunately I am only too well aware of the arguments that can be brought against it. We are not even certain that the ship that is to carry us over the unknown seas has not sprung a leak somewhere. May not the old text be corrupt? Is Wilhelm's translation accurate? Are we not self-deluded in our explanations? The Yijing insists upon self-knowledge throughout. The method by which this is to be achieved is open to every kind of misuse, and is therefore not for the frivolous-minded and immature; nor is it for intellectualists and rationalists. It is appropriate only for thoughtful and reflective people who like to think about what they do and what happens to them -- a predilection not to be confused with the morbid brooding of the hypochondriac. As I have indicated above, I have no answer to the multitude of problems that arise when we seek to harmonize the oracle of the Yijing with our accepted scientific canons. But needless to say, nothing "occult" is to be inferred. My position in these matters is pragmatic, and the great disciplines that have taught me the practical usefulness of this viewpoint are psychotherapy and medical psychology. Probably in no other field do we have to reckon with so many unknown quantities, and nowhere else do we become more accustomed to adopting methods that work even though for a long time we may not know why they work. Unexpected cures may arise from questionable therapies and unexpected failures from allegedly reliable methods. In the exploration of the unconscious we come upon very strange things, from which a rationalist turns away with horror, claiming afterward that he did not see anything. The irrational fullness of life has taught me never to discard anything, even when it goes against all our theories (so short-lived at best) or otherwise admits of no immediate explanation. It is of course disquieting, and one is not certain whether the compass is pointing true or not; but security, certitude, and peace do not lead to discoveries. It is the same with this Chinese mode of divination. Clearly the method aims at self-knowledge, though at all times it has also been put to superstitious use. I of course am thoroughly convinced of the value of self-knowledge, but is there any use in recommending such insight, when the wisest of men throughout the ages have preached the need of it without success? Even to the most biased eye it is obvious that this book represents one long admonition to careful scrutiny of one's own character, attitude, and motives. This attitude appeals to me and has induced me to undertake the foreword. Only once before have I expressed myself in regard to the problem of the Yijing: this was in a memorial address in tribute to Richard Willielm. For the rest I have maintained a discreet silence. It is by no means easy to feel one's way into such a remote and mysterious mentality as that underlying the Yijing. One cannot easily disregard such great minds as Confucius and Lao-tse, if one is at all able to appreciate the quality of the thoughts they represent; much less can one overlook the fact that the Yijing was their main source of inspiration. I know that previously I would not have dared to express myself so explicitly about so uncertain a matter. I can take this risk because I am now in my eighth decade, and the changing opinions of men scarcely impress me any more; the thoughts of the old masters are of greater value to me than the philosophical prejudices of the Western mind. Formerly I would have accepted unconditionally the advice, "Do not act in this way," and would have refused to give my opinion of the Yijing, for the sole reason that I had none. But now the counsel may serve as an example of the way in which the Yijing functions. It is a fact that if one begins to think about it, the problems of the Yijing do represent "abyss on abyss," and unavoidably one must "pause at first and wait" in the midst of the dangers of limitless and uncritical speculation; otherwise one really will lose his way in the darkness. Could there be a more uncomfortable position intellectually than that of floating in the thin air of unproved possibilities, not knowing whether what one sees is truth or illusion? This is the dreamlike atmosphere of the Yijing, and in it one has nothing to rely upon except one's own so fallible subjective judgment. I cannot but admit that this line represents very appropriately the feelings with which I wrote the foregoing passages. Equally fitting is the comforting beginning of this hexagram -- "If you are sincere, you have success in your heart" -- for it indicates that the decisive thing here is not the outer danger but the subjective condition, that is, whether one believes oneself to be "sincere" or not. The hexagram compares the dynamic action in this situation to the behavior of flowing water, which is not afraid of any dangerous place but plunges over cliffs and fills up the pits that lie in its course (K'an also stands for water). This is the way in which the "superior man" acts and "carries on the business of teaching." K'an is definitely one of the less agreeable hexagrams. It describes a situation in which the subject seems in grave danger of being caught in all sorts of pitfalls. Just as in interpreting a dream one must follow the dream text with utmost exactitude, so in consulting the oracle one must hold in mind the form of the question put, for this sets a definite limit to the interpretation of the answer. The first line of the hexagram notes the presence of the danger: "In the abyss one falls into a pit." The second line does the same, then adds the counsel: "One should strive to attain small things only." I apparently anticipated this advice by limiting myself in this foreword to a demonstration of how the Yijing functions in the Chinese mind, and by renouncing the more ambitious project of writing a psychological commentary on the whole book. Although as a rule it is customary for an official to present certain introductory gifts and recommendations before he is appointed, here everything is simplified to the utmost. The gifts are insignificant, there is no one to sponsor him, he introduces himself; yet all this need not be humiliating if only there is the honest intention of mutual help in danger. It looks as if the book were to some degree the subject of this line. But if, tempted by the danger, and just because of the uncertainty, one were to insist on forcing conviction by special efforts, such as elaborate commentaries and the like, one would only be mired in the difficulty, which the top line describes very accurately as a tied-up and caged-in condition. Indeed, the last line often shows the consequences that result when one does not take the meaning of the hexagram to heart. The dangerous water hole or abyss pointed to the Yijing, and so does the well, but the latter has a positive meaning: it contains the waters of life. It should he restored to use. But one has no concept (Begriff) of it, no utensil with which to carry the water; the jug is broken and leaks. The ting needs new handles and carrying rings by which to grasp it, and so also the well must be newly lined, for it contains "a clear, cold spring from which one can drink." One may draw water from it, because "it is dependable." It is clear that in this prognosis the speaking subject is again the Yijing, representing itself as a spring of living water. The preceding hexagram described in detail the danger confronting the person who accidentally falls into the pit within the abyss. He must work his way out of it, in order to discover that it is an old, ruined well, buried in mud, but capable of being restored to use again. I submitted two questions to the method of chance represented by the coin oracle, the second question being put after I had written my analysis of the answer to the first. The first question was directed, as it were, to the Yijing: what had it to say about my intention to write a foreword? The second question concerned my own action, or rather the situation in which I was the acting subject who had discussed the first hexagram. To the first question the Yijing replied by comparing itself to a caldron, a ritual vessel in need of renovation, a vessel that was finding only doubtful favor with the public. To the second question the reply was that I had fallen into a difficulty, for the Yijing represented a deep and dangerous water hole in which one might easily be mired. However, the water hole proved to be an old well that needed only to be renovated in order to be put to useful purposes once more. These four hexagrams are in the main consistent as regards theme (vessel, pit, well); and as regards intellectual content they seem to be meaningful. Had a human being made such replies, I should, as a psychiatrist, have had to pronounce him of sound mind, at least on the basis of the material presented. Indeed, I should not have been able to discover anything delirious, idiotic, or schizophrenic in the four answers. In view of the Yijing's extreme age and its Chinese origin, I cannot consider its archaic, symbolic, and flowery language abnormal. On the contrary, I should have had to congratulate this hypothetical person on the extent of his insight into my unexpressed state of doubt. On the other hand, any person of clever and versatile mind can turn the whole thing around and show how I have projected my subjective contents into the symbolism of the hexagrams. Such a critique, though catastrophic from the standpoint of Western rationality, does no harm to the function of the Yijing. On the contrary, the Chinese sage would smilingly tell me: "Don't you see how useful the Yijing is in making you project your hitherto unrealized thoughts into its abstruse symbolism? You could have written your foreword without ever realizing what an avalanche of misunderstanding might be released by it." The Chinese standpoint does not concern itself as to the attitude one takes toward the performance of the oracle. It is only we who are puzzled, because we trip time and again over our prejudice, viz., the notion of causality. The ancient wisdom of the East lays stress upon the fact that the intelligent individual realizes his own thoughts, but not in the least upon the way in which he does it. The less one thinks about the theory of the Yijing, the more soundly one sleeps. It would seem to me that on the basis of this example an unprejudiced reader would now be in a position to form at least a tentative judgment on the operation of the Yijing. More cannot be expected from a simple introduction. If by means of this demonstration I have succeeded in elucidating the psychological phenomenology of the Yijing, I shall have carried out my purpose. As to the thousands of questions, doubts, and criticisms that this singular book stirs up -- I cannot answer these. The Yijing does not offer itself with proofs and results; it does not vaunt itself, nor is it easy to approach. Like a part of nature, it waits until it is discovered. It offers neither facts nor power, but for lovers of self-knowledge, of wisdom -- if there be such -- it seems to be the right book. To one person its spirit appears as clear as day; to another, shadowy as twilight; to a third, dark as night. He who is not pleased by it does not have to use it, and he who is against it is not obliged to find it true. Let it go forth into the world for the benefit of those who can discern its meaning.